You are invited to become part of an exclusive group of donors offering significant support to the Louisville Zoo’s Annual Fund. Gifts to the Sustainer Society are an investment in your Zoo and aid in providing exemplary animal care and enrichment; offering an array of education programs; and maintaining innovative and vital species conservation and scientific research efforts at your Zoo. Sustainer Society members are people like you — individuals who support wildlife conservation, education, environmental sustainability and a financially strong future for your zoo. Please review the information below and consider becoming a member of our Sustainer Society today. A portion of each level of giving is tax deductible. All members of the Sustainer Society receive year-round access to the Zoo for seven people and ten children ages 3-18; use of the train, carousel and tram (weather permitting, during regular operating hours); eight guest passes; recognition in the Zoo’s Trunkline publication; discounts on food/beverage purchases at the Zoo; access to member events; and the member rate on special events such as The World’s Largest Halloween Party and Santa Safari. 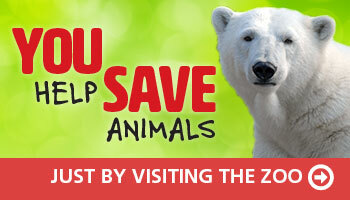 2 Mix & Mingle tickets to Zoofari! 2 Dinner tickets to Zoofari! 4 Dinner tickets to Zoofari! One table of 8 at Zoofari!